After breakfast with my friend Donna, we saw this pink chair in the front garden. I shot it through the windshield. We were stopped at the end of the alley where it was time to turn into the street. The wing chair didn’t look as if it was put out for the trash? A bit of reflection in the street puddle. Looks like it was put there to save one’s place for the parade to march by. Ruth I love when you feature my yard, but next time a heads up would be nice! I didn’t think you’d mind! 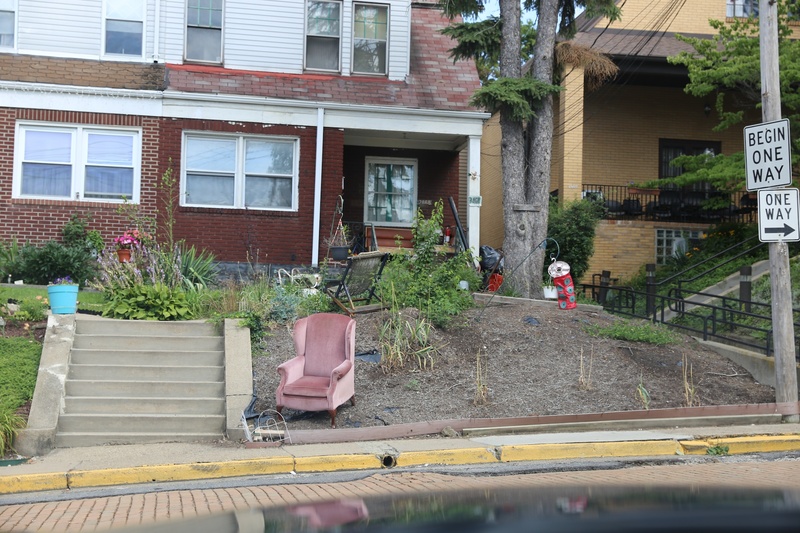 I wonder if that’s where the home owner sits to watch the world go by? I like the puddle reflection.